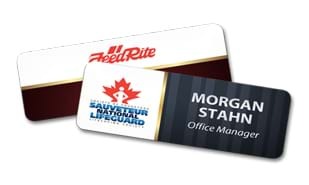 This name tag is made out of white aluminum and comes with an extra strong pin backing that locks positively and holds securely. 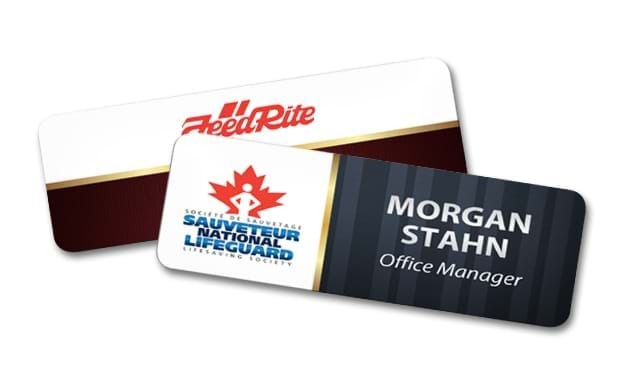 The white aluminum makes it great for a full colour Polyetch inscription. It comes complete with one colour or full colour Polyetch inscription. Enquire about our rush services. No production set-up charges. Artwork set-up cost may apply for custom artwork and logos.